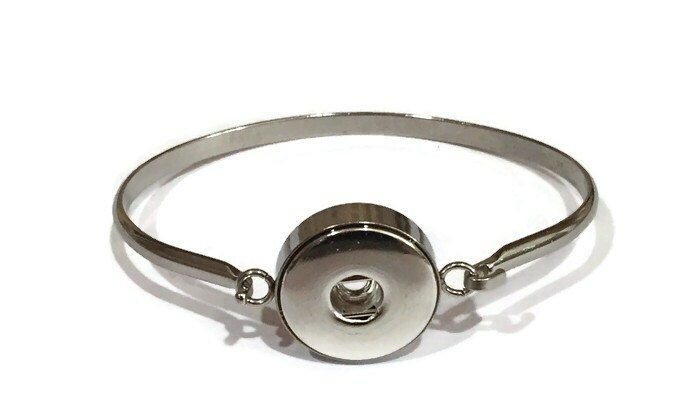 Studio66 LLC Stainless Steel Cuff Bracelet with One Noosa Snaps is designed to coordinate with ArtPoppers Charms, which are designed and manufactured exclusively by Studio66 LLC. You may either select the base bracelet without the snap OR you may select the base bracelet with a snap of your choice from our shop. Please note snap choice in "message to seller" when checking out. Our hand-pressed snaps work with standard 18-20mm noosa/gingersnap/snap jewelry bases. Hand-pressed snaps are printed on high-quality paper and hand-pressed to create a unique one-of-a-kind snap. Studio66 LLC base pieces work with other snap jewelry bases such as gingers snaps, magnolia and vine and other 18-20mm snap jewelry.